This One’s for the Chocaholics – Hershey’s are Unveiling the World’s First 3D Printed Chocolate Exposition. Shame the Models aren’t Edible! Teaming up with 3D Systems, Hershey has announced that on December 19th they will debut the 3D Chocolate Candy Printing Exhibit at the Hershey’s Chocolate World Attraction. Here, visitors will have the opportunity to watch and interact with scientists at the company as well as 3D printers spewing out the rich creamy candy. If you happen to be in the area and want to stop in, Friday of this week will be the grand opening of the 3D printing exhibit. 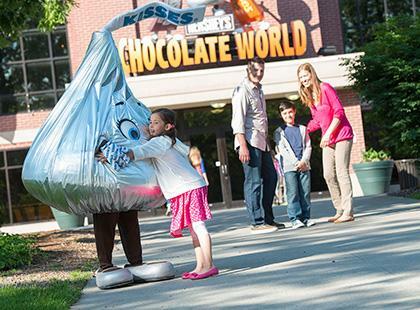 The address of Hershey’s Chocolate world is 251 Park Boulevard, Hershey, PA. Let us know if you have the opportunity to stop in. Take some pictures and document your experience in theHershey 3D Printed Chocolate Exhibit forum thread on 3DPB.com.